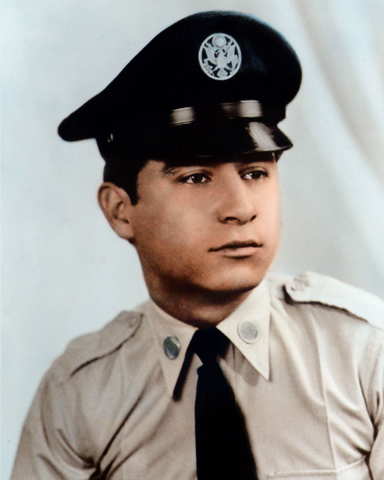 Aragon distinguished himself by meritorious achievement while engaged in ground support of Tactical Air Operations against an opposing armed force at Bien Hoa Air Base, Republic of Vietnam on May 16, 1965. On that day, several 500 pound bombs exploded accidentally while four B-57 aircraft were preparing to take off on a mission. In spite of the hazards of the fire, exploding ammunition and flying debris, he remained in the area assisting in removing injured comrades and clearing the flight line of equipment that at any time could be enveloped in fire. Through his actions many lives were spared. By his heroic actions and unselfish dedication to duty, Aragon reflected great credit upon himself and the United States Air Force.